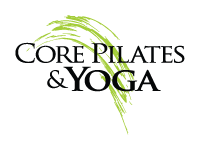 Locations and Schedules - Core Pilates & Yoga - Syracuse and Central New York's Premier Pilates, Yoga and Dance Center. Hours of Operation - We are in the studio during regularly scheduled classes. Please contact 480-9727 to visit us outside regular class times. Thank you! Pilates Equipment classes by appointment only. See below for rates. Purchase a new punch card here! Please note that punch cards cannot be shared or transferred. Prices do not include workshops, specialty classes, equipment classes, private or semi-private classes. Receive ½ price on specialty classes and workshops with the purchase of any unlimited card. Private and Semi-Private classes can be mixed and matched to suit your needs. You choose the class you want session to session. Private sessions require 24 hour cancellation notice. If you would like to share a private we will try and match you up with another student who is interested in sharing a private class. Please call or email us with your availability. Contact us about our on-site Corporate Program Packages! 10% discount to students, seniors and veterans on group classes– must have valid ID. Receive a 10% discount on an 8-week session for referring a new student or booking a company sponsored program. Discounts can not be combined. Schedule & rates subject to change.